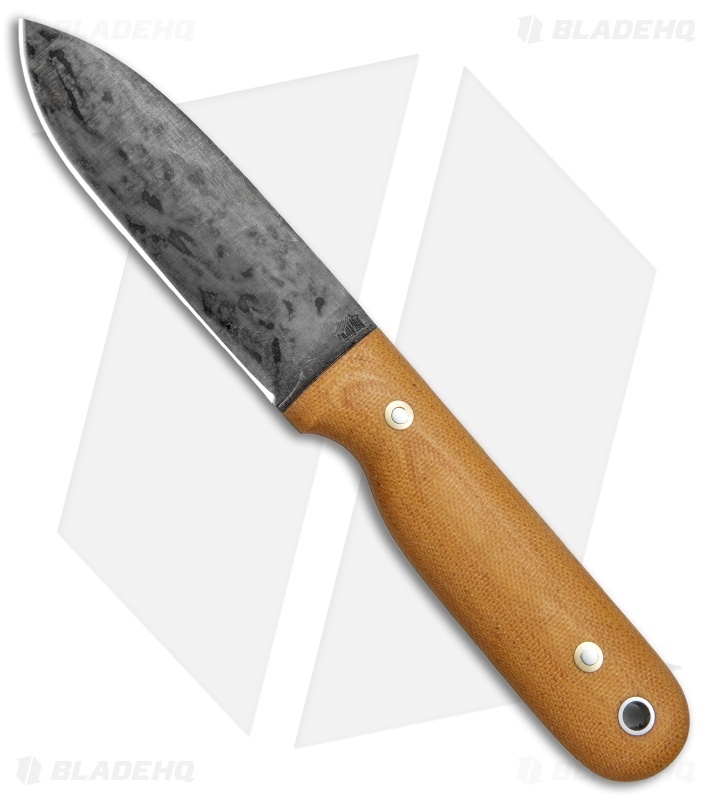 The Bushcrafter delivers when called upon. 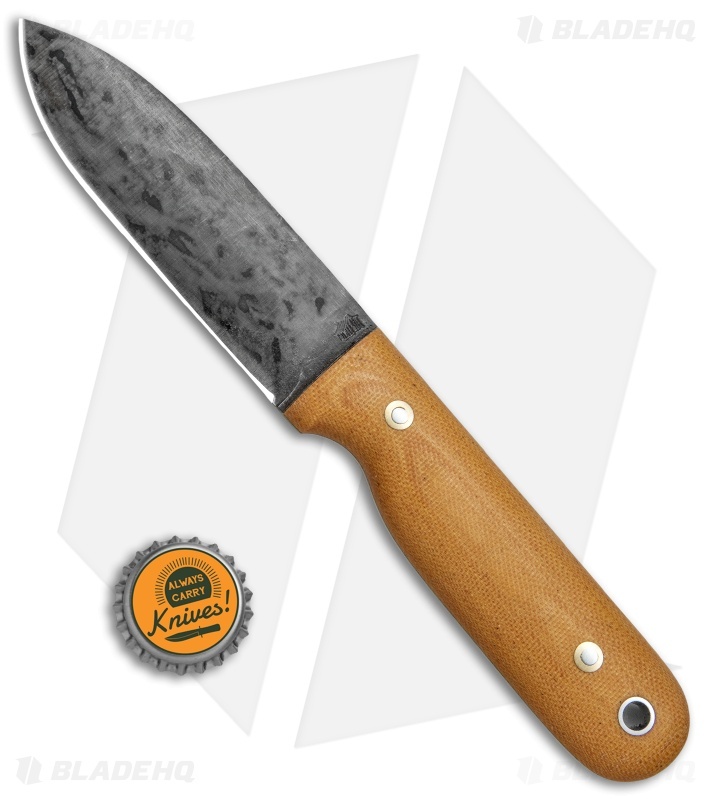 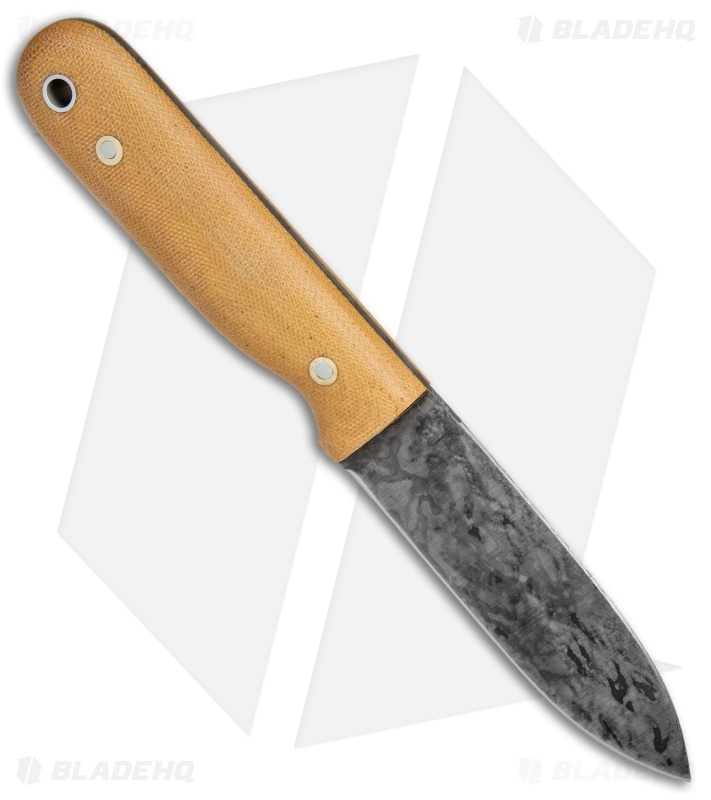 This model has a convex ground 1075 high carbon steel blade with a two-step patina. The canvas Micarta handle offers plenty to hold on to, while all but removing the fear of hot spots around the edges. 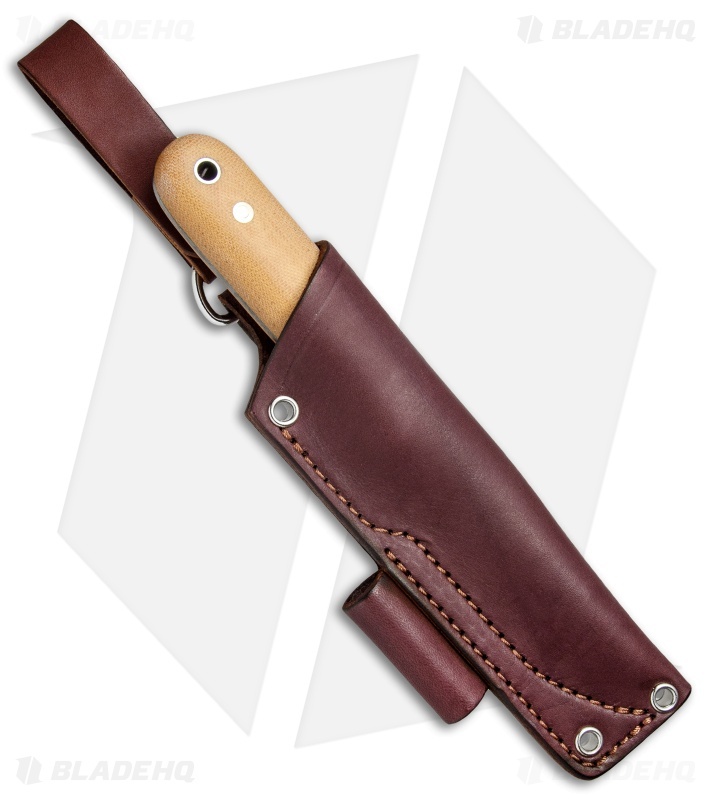 The Bushcrafter includes a premium JRE leather sheath.